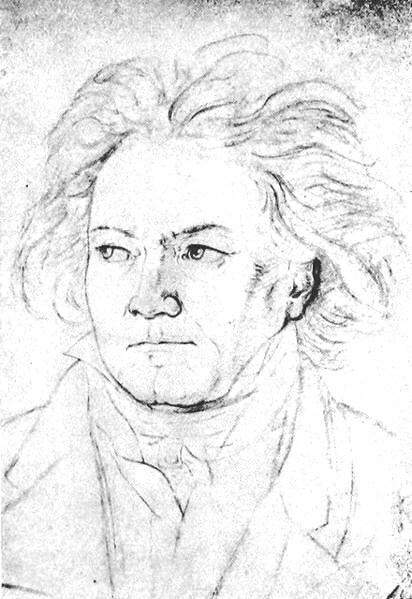 Ludwig van Beethoven (LOOD vig von BAY toh vun) was one of the world's greatest composers. He wrote many symphonies,* overtures,* and pieces for piano and other instruments. He started studying the piano and violin when he was 4 years old. His father, a singer, was his first teacher. But he was not a good teacher. He beat his son and locked him in a basement to make him practice. Sometimes when his father came home late after becoming drunk, he would awaken Ludwig and make him practice until morning. When he was 10 years old, he started taking lessons from Christian Neefe. His new teacher was very patient with him and he began to do well. He wrote his first composition* (song) when he was 11. When he was 12, his teacher let him direct the orchestra part of the time. When he was 22, he moved to Vienna and studied with Joseph Haydn (HI dn). Haydn insisted his student write "pupil of Haydn" at the top of each song he wrote. Beethoven became tired of giving Haydn credit for his songs and quit studying with him. 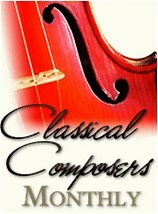 Most composers at this time were hired by people to write music, and they were told what kind of music to write. Beethoven, however, was treated as a friend, not an employee. He wrote the kind of music he wanted to write. He knew he could play the piano very well and began to play at parties and to give concerts around Europe. When he needed an orchestra, he used a big orchestra. He would even use some of the instruments in the orchestra to sound like birds in the forest. He liked taking long walks during the day. During these walks he planned his music. He would make notes in a notebook. Then in the evening after dinner, he would write music from about 7:30 to 10:00 p.m. He followed the same routine every day. If he was dining out and didn't have his notebook with him, he would write on the back of a menu. Once he even wrote on a window shade. He would work on a composition until it was just right. Sometimes it took years, but it would be perfect when he finished it. 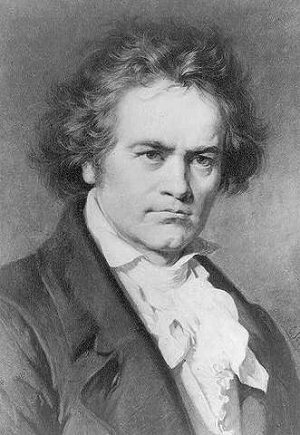 Beethoven began to lose his hearing when he was in his 20's. He became very suspicious* of people and hard to get along with. But he was still able to hear the songs in his mind and write them down. He did not get along with his two brothers. When his brother Karl died, Beethoven took his 9 year-old son to raise. It was an unhappy time for the child and his uncle. The boy rebelled against him and caused him a lot of grief. In 1826 he caught a cold. It developed into pneumonia* and he died. The world lost a great composer, but his music lives on today. You will enjoy listening to themes from some of his works. At biography.com search for Beethoven. Press "Go" to search for books about Beethoven. it helped me to do my homework so it was supportive to me. I am interested in the photograph you have of Beethoven at the head of the page. 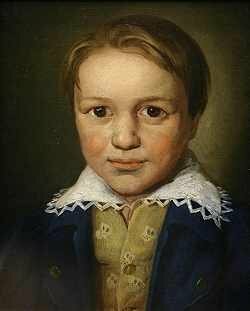 Can you tell me if it is a photograph and at what age Beethoven would be in it. I have this same photograph which is an original to my knowlege and was wandering how old it is. This page displayed 729,313 times.